designed by you, with a little help from us! Has one of our stunning Kimberley Fine Diamonds creations caught your eye? Would you prefer to see your investment in person but reside on the other side of the Australia, or the world? Then come and visit the Kimberley Fine Diamonds boutique diamond house in Kununurra as part of a Diamonds and Pearls Kimberley Holiday Experience. View the world’s rarest and most superior diamonds whilst visiting the natural treasures of the dramatic outback wilderness that is the Kimberley. Stay at the region’s most luxurious accommodation, enjoy the spoils of French champagne and gourmet meals everywhere you go and travel to some of the Kimberley’s most stunning attractions. 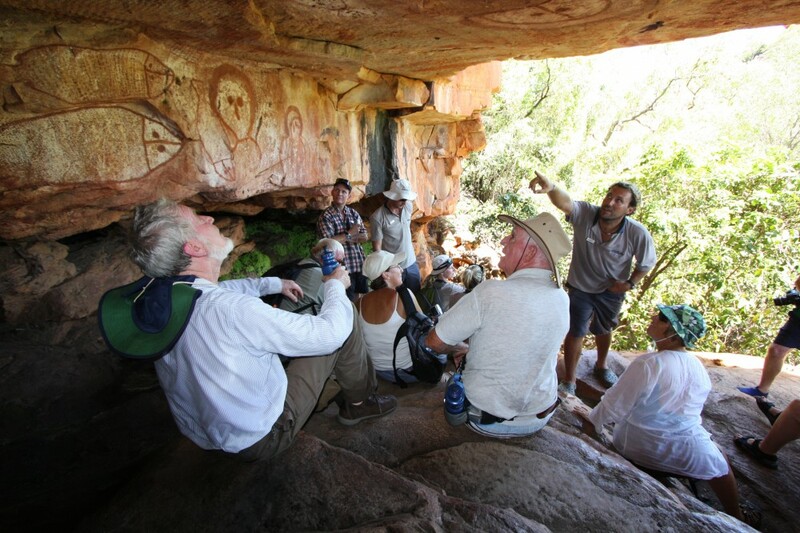 Do as much or as little as you like with a range of informative local guides who will introduce their guests to an array of unique attractions – let us create a Kimberley experience for you unlike any other. All itineraries are tailored to suit our guests’ wishes. We provide expert travel advice as part of our service to ensure your bespoke Kimberley Outback adventure provides memories that will last a lifetime. Each Kimberley Fine Diamonds Shopping Holiday itinerary is as unique as the rare variety of spectacular gems on offer at the Kimberley Fine Diamonds boutique. From luxurious lodges and resorts to unique safari camps, with options to include the excitement and prestige of a Kimberley coastal cruise to helicopter scenic flights to some of the areas least visited locations. We understand the region’s climatic conditions and have an intimate understanding of the logistics involved providing peace of mind to our guests that their itinerary has been crafted in the best manner possible. The owners of id Services Australia have lived and worked in the Kimberley on cattle stations and within the local tourism industry for the past 11 years, this in itself makes an enormous difference when selecting locations, surrounding attractions and of most importance – the people! We will introduce our guests to the Kimberley area with the region’s most sought-after tour guides and Indigenous Traditional Owners – who are our friends. Be educated, entertained and welcomed by the Kimberley’s Indigenous men, women and their children. Indigenous cultural interpretation when on tour is a highlight within our itineraries, whether it’s a guided tour of an area to learn of its meaning or to meet local artists and hear their stories. Explore stunning gorges, waterfalls and invigorating thermal pools and marvel at an ancient land that has not been changed for over 1.8 million years, see it all by 4WD, hiking, boat, camel, horseback or aboard a hovercraft or scenic flight. Join in on a real cattle drive over 4 days, cattle mustering day trips or overnight packsaddle treks, or simply select a gentle scenic horse ride for 2 hours – and live your dream! Unwind on your own private balcony overlooking the Indian Ocean and watch the whales, or stroll along a secluded beach following the turtle tracks to find your own small spot to rest and enjoy the scenery. Blend in with the surrounding bush and tune in with the picturesque country, make your own trail to find a shady boab tree to photograph, rest under and to watch the butterflies. Fishing the North West waterways challenges you to find the elusive barramundi, prized Sailfish and Marlin, all famous for their fighting strength – to name only a few of the fish species. Western Australia offers an abundance of culinary delights supported by a wide variety of award winning wineries and breweries, adding a distinctive flavour to each itinerary. The rugged outback of the Kimberley region is not so daunting when you have five star hotels, resorts, tented camps and retreats with most providing day spa services and all of those favourite little things we all love – like chocolates, soft fluffy towels and French Champagne! Life’s truly extraordinary experiences can be lived as our guests escape and venture into the Kimberley wilderness. 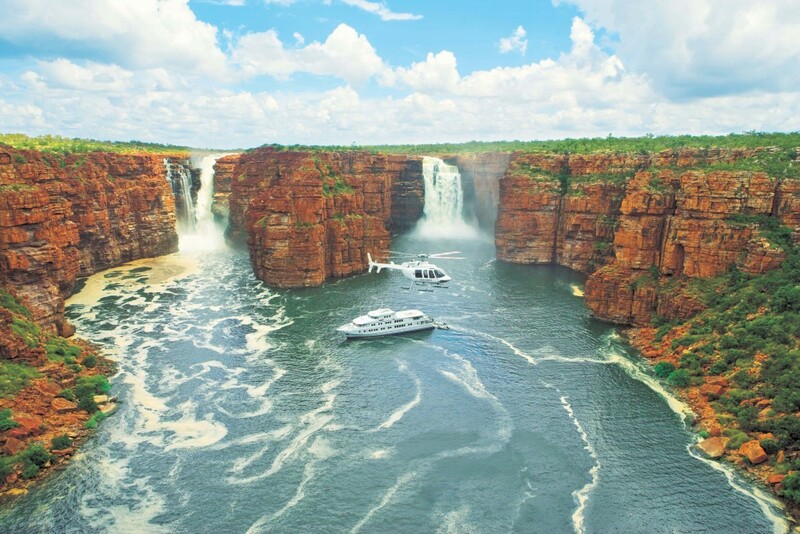 The Kimberley is renowned as being one of the least populated areas left in the world – Australia’s last frontier. Your very special keepsake of your Kimberley holiday awaits our guests who are welcomed to a private viewing of the exclusive range of Argyle Diamonds. As a courtesy, Frauke Bolten Boshammer, owner of Kimberley Fine Diamonds provides a selection of canapés and French Champagne to our guests during this unique, unhurried and very exciting shopping experience.